It’s important to set good habits for ourselves when we’re young, especially when it comes to staying healthy. But a recent study conducted by the American Heart Association shows that many young people, and particularly young men, are dropping the ball when it comes to regulating their cardiovascular health. Senior study author Andrew Moran York points out that heart-related issues like high blood pressure cost the U.S. public around $110 billion in 2015, and that improving heart conditions in young people could go a long way towards reducing that burden. 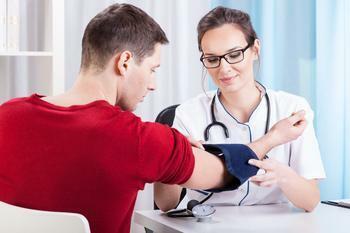 "While hypertension awareness, treatment and control have improved overall since the early 2000s, all three remain worse in young adults -- those aged 18-39," he said. Nearly 75% of young adults who had high blood pressure were obese, compared with 57% for middle-aged adults and 42% for older adults. The researchers say this indicates that young adults with high blood pressure are twice as likely to be obese. Lead author Dr. Yiyi Zhang said that the findings highlight several shortcomings among young people when it comes to screening and managing their cardiovascular health. The researchers recommend that this demographic renew their focus on their health in order to improve outcomes. "The first step for young adults is to have their blood pressure measured, whether in a doctor's office, pharmacy or other place in their community. Young adults with consistently high blood pressure need a link to clinical care to verify the diagnosis and receive regular monitoring and possibly treatment," said Zhang. The full study has been published in Hypertension.